Santa Claus is coming to Pāhoa town on Saturday, Dec. 2, 2017. 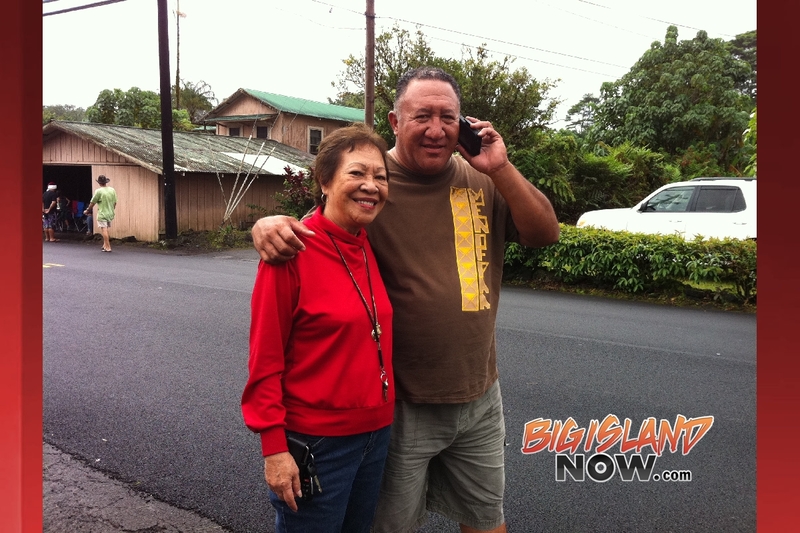 He will once again be the featured guest at the Mainstreet Pāhoa Association’s annual Holiday Parade. Families, residents and visitors will begin to line Pāhoa Village Road an hour before the 9:30 a.m. start of the parade. The main street through Pāhoa town will be closed from Apaʻa Road to the high school beginning at 9 a.m. The grand marshall for this year’s parade is Auntie Madie Green. Affectionately known as the unofficial “mayor” of Pāhoa, Green has been an active proponent for Pāhoa and the Puna District for decades. Marching units and floats will be judged on their interpretation of the theme, their spirit and showmanship by a panel of five judges consisting of three adults, and two students from area schools. Winning organizations will receive albizia wood medallions created and donated by Hawaiʻi Bookmark. The Hawai‘i County Band and the Heiau o Umi-a-Liloa, Helu Umi Royal Order of Kamehameha will begin the parade. The body of the parade will include lots of keiki from local schools, kūpuna, and clubs and organizations all out trying to impress the judges and entertain the crowd. Santa will arrive at the end of the parade to begin the holiday season in Pāhoa. Following the parade, Santa will be at Savio Realty for pictures with the keiki. Savio is providing complimentary photos for the parents. All morning long, keiki can enter a drawing for Savio’s Keiki Play House, a whimsical structure that looks like it might have been built by Santa’s elves. Entrants must be present at the 1 p.m. drawing to win. To enter, one must be 12 years old or younger. Savio will also collect cans of food for The Food Basket, Hawaiʻi Island’s Food Bank. The annual holiday parade is a presentation of the Mainstreet Pāhoa Association, with the sponsorship of local businesses. Since 1993 the association’s mission has been to connect the people, non-profits, businesses and government representatives of the Puna District to advocate for the historic plantation town.